Sometimes all you need to relax is a little piece of nature, and this craft is perfect to bring the outside indoors. 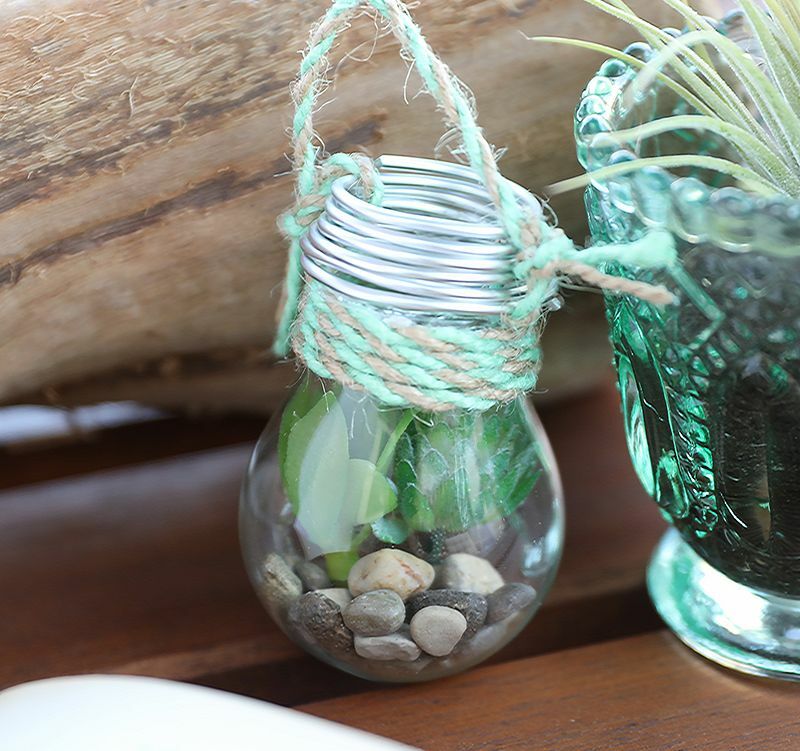 The petite size of a light bulb terrarium makes it easy to fit anywhere in the home. However, because light-bulb glass is very thin and fragile, take care that any location is secure so the terrarium won't fall off and break. For even greater security, hang the terrarium from a removable hook on the ceiling. When doing this project, you must take precautions. Wear gloves to keep fingerprints off the glass, and handle the glass gently so it doesn't shatter. Be careful when adding the rocks and wrapping wire around the bulb. 1. Put on work gloves. Remove the light bulb's base very carefully and dispose of it. 2. Apply a dab of glue where the bulb starts to taper. Press one end of twine into the glue. 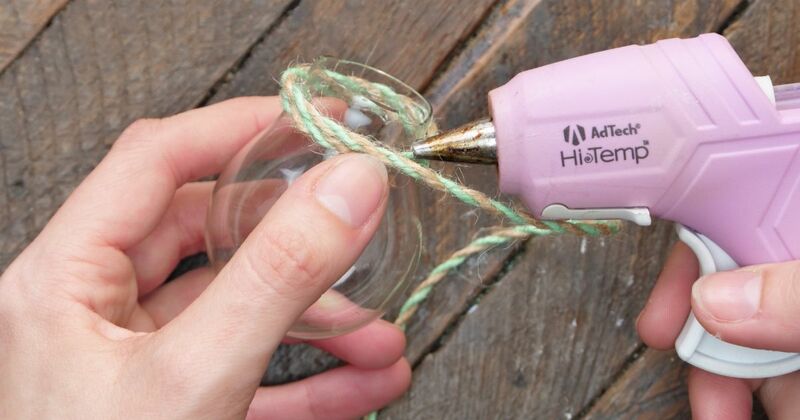 Wrap and glue twine around the tapered end until it's covered. Trim excess twine. 3. Cut off 24 inches of wire. Gently coil one end of the wire around the end of the tapered area. Remove the wire, keeping the coil in place. Continue coiling the wire the same diameter until you have six coils. Cut excess wire. 4. Position the coils so they're one on top of the other. Cut off 6 inches of twine. Tie one end in a knot around the right side of the coils, and the other end around the left side. You should have a loop from which the coils hang. 5. Run a line of glue around the top of the tapered end where the twine is. Press the coils to the glue. 6. Pour a small handful of river rocks slowly into the bulb. Add a leaf or two. 7. Display in a location where the bulb can't be knocked over.